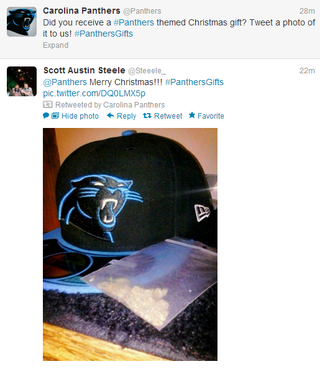 In the spirit of holidays, the Carolina Panthers Twitter account is retweeting fans who received Panthers-themed gifts for Christmas. This fan got a new hat and a bag of weed! I was not aware Santa started delivering that stuff.